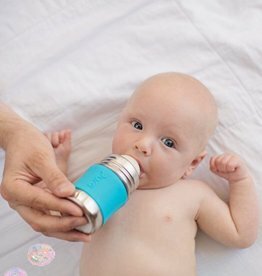 The safest infant feeding bottle on the planet! Our award winning 11oz Kiki infant bottle is 100% plastic-free, environmentally progressive, and adapts to the needs of your growing child. Pura Kiki's new XL Sipper was designed to be stiff and free flowing to support the natural development of teeth and gums in toddlers. 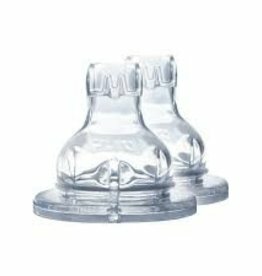 The safest infant feeding bottle on the planet! Pura Kiki's award winning 5oz Kiki infant bottle is 100% BPA/BPS-free, environmentally progressive, and adapts to the needs of your growing child. Pura continues to innovate, and this may be their best product yet… the Big Mouth® Silicone Sport Top! 100% medical grade silicone straw top is comprised of two pieces – the mouthpiece and the straight straw that extends into the bottle.